Download our Essential Oils and Cats handout! Essential oils are volatile, organic constituents of plants that contribute to fragrance and taste. They are extracted from plants via distillation or cold pressing. 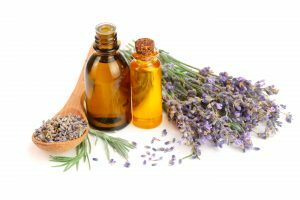 Essential oils are utilized in a variety of ways: as insecticides, in aromatherapies, personal care products (e.g., antibacterials), flavorings, herbal remedies and liquid potpourri. Essential oils can pose a toxic risk to household pets, especially to cats. They are rapidly absorbed both orally and across the skin, and are then metabolized in the liver. Cats lack an essential enzyme in their liver and as such have difficulty metabolizing and eliminating certain toxins like essential oils. Cats are also very sensitive to phenols and phenolic compounds, which can be found in some essential oils. The higher the concentration of the essential oil (i.e. 100%), the greater the risk to the cat. Essential oils that are known to cause poisoning in cats include oil of wintergreen, oil of sweet birch, citrus oil (d-limonene), pine oils, Ylang Ylang oil, peppermint oil, cinnamon oil, pennyroyal oil, clove oil, eucalyptus oil, and tea tree oil. Symptoms that develop depend on the type of oil involved in the exposure and can include drooling, vomiting, tremors, ataxia (wobbliness), respiratory distress, low heart rate, low body temperature, and liver failure. Until recently, the use of essential oils for aromatherapy was restricted to such devices as candles, liquid potpourri products, room sprays, passive diffusers, or applying it to skin like perfume. Passive diffusers work by evaporating the oil, producing a pleasant smell. Types include: 1) reed diffusers, where the reeds soak up the oil and disperse its fragrance into the air; 2) heat diffusers like plug-in/electric oil diffusers, candle burners, or table top warmers that use heat to evaporate the oil, 3) non-motorized, personal evaporative diffusers (necklace pendants, bracelets, etc.) that use room air currents to diffuse the aroma, and 4) motorized diffusers that use a fan to blow air through a filter or pad that has been permeated with an essential oil. Unless the oil in a passive diffuser gets onto a cat’s skin or is ingested in some way (e.g. the diffuser tips over onto or near the cat, or the cat ingests a personal diffuser), the main hazard to cats from essential oils dispersed through passive diffusers is respiratory irritation. Inhalation of strong odors or fragrances can cause some cats to develop a watery nose or eyes, a burning sensation in the nose/throat, nausea leading to drooling and/or vomiting, and difficulty breathing. Difficulty breathing in a cat is evidenced by labored breathing, fast breathing, panting, coughing, or wheezing. NONE of these signs are normal in cats. A coughing episode in a cat can be mistaken by owners for the cat trying to vomit up a hairball. However, in this case the cat crouches low to the ground, with little to no abdominal movement that is more typical of vomiting. No hairball is produced. 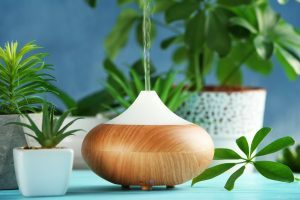 Recently, active essential oil diffusers have hit the market. The active diffusers differ from passive ones in that actual microdroplets or particles of oil are emitted into the air in addition to the pleasant aroma of the oil. Nebulizing diffusers (pressurized high-speed air stream and an atomizing nozzle) and ultrasonic diffusers (electric current causes an instrument to emit a vibration) fall into this category. The droplets dispersed by these new diffusers may be small, but they still pose a risk to cats. Depending on how close the cat is to the dispenser, the essential oil microdroplets may collect on the cat’s fur if it is the same room as the active diffuser. The oil can be either absorbed directly through the skin, or ingested when the cat grooms itself. Like oil and water, essential oils and cats really do not mix. Owners should be cautious using essential oils and diffusers in their homes in order to protect their cat(s) from a toxic risk. Most importantly, concentrated essential oils should never be directly applied to cats.